This site aims to be a comprehensive guide to Nichebarn. We’ll cover topics such as theme installation and basic setup, activating your new WordPress theme, editing the default theme settings, changing website font, modifying theme colors, and many other blog enhancement tips. So what is Nichebarn, exactly? 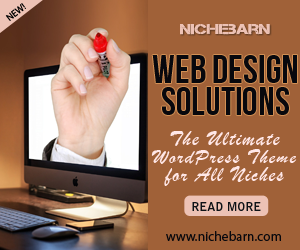 Nichebarn is a modern WordPress theme that is easy to use, lightweight, fast, and flexible. It supports the relatively new WordPress theme customizer feature. With this innovative feature you will enjoy tweaking your theme settings in live preview and without the need to touch a single code. Our ultimate goal is to help you start your own blog or create a website from scratch quickly and easily. This way, you don’t need to spend hundreds or even thousands of dollars just for a simple five-pages site. We made sure that this site caters even to complete beginners who never ever have an experience using content management software like WordPress. The site sidebar and menus was designed to help you quickly find the information you need. You can also use the beginner and idiot-proof checklist here.